Awards and decorations include the Army Commendation Medal, National Defense Service Medal, Global War on Terrorism Service Medal, Afghanistan Campaign Medal with two campaign stars, Army Service Ribbon, Overseas Service Ribbon, NATO Medal, Combat Infantryman Badge and Expert Marksmanship Badge. 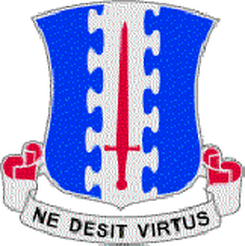 Unit: Company A, 1st Battalion, 187th Infantry Regiment, 3rd Brigade Combat Team. PATERSON – For nine months, Pfc. 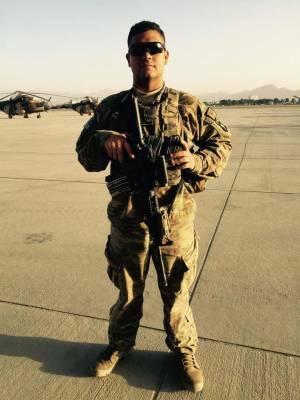 Kevin Rodriguez’ family in Paterson worried about him as he served in Afghanistan with the United States Army’s 101st Airborne Division. The young infantryman kept in touch through social media, but he couldn’t say much about what was happening in the war-torn country. Finally, his loved ones felt a sense of relief when the 22-year-old graduate of Paterson’s PANTHER Academy came back to the United States in June. “We thought he would be safe here,” said his 20-year-old sister, Joan Rodriguez. Rodriguez died on the two-year anniversary of his enlistment, according to his sister. He joined the Army after his grandfather died, and his enlistment was an effort to make the spirt of his grandfather proud, said his sister. His sister and girlfriend said Rodriguez was deeply patriotic. “He loved being able to say that he was defending our country,” said Joan Rodriguez. Gonzalo recalled a photo that Rodriguez had taken of the American flag being raised above his camp in Afghanistan. “He loved it,” she said. Rodriguez had earned the Army Commendation Medal, National Defense Service Medal, Global War on Terrorism Service Medal, Afghanistan Campaign Medal with two campaign stars, Army Service Ribbon, Overseas Service Ribbon, NATO Medal, Combat Infantryman Badge and Expert Marksmanship Badge, according to an Army news release. Mayor Jose “Joey” Torres said he was saddened by Paterson’s loss. “It’s such a tragedy,” Torres said. “My heart goes out to the family and to his former classmates at PANTHER Academy.” Rodriguez was passionate about cars, said his sister. He liked working on their engines and he enjoyed races, she said. People were always asking him to fix their vehicles, said Gonzalo. 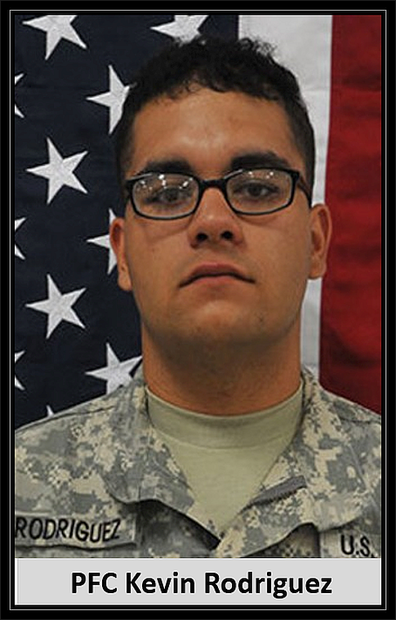 His sister and girlfriend said Rodriguez was popular among his fellow soldiers as well as his friends in Paterson. “He was loved by so many people,” said Joan Rodriguez. The wake has been scheduled for Sunday from 2 to 6 p.m. at Martinez Funeral home at 747 Market Street. Funeral services will be Monday at 9 a.m. at the funeral home.